Experimental Theology: I Did Not Make It. It Is Making Me. I Did Not Make It. It Is Making Me. 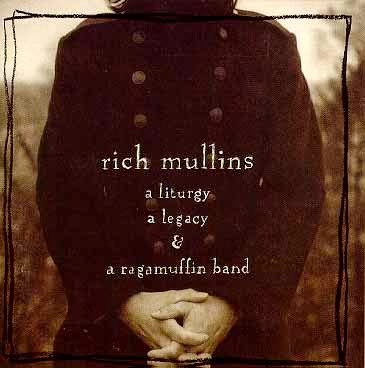 Some of you, if you're younger, may not be familiar with music of Rich Mullins. But for Jana and I Rich Mullins was an important part of our faith journey in college. One of our favorite songs is "Creed." The lyrics of "Creed" are almost a straight recitation of the Apostles' Creed. 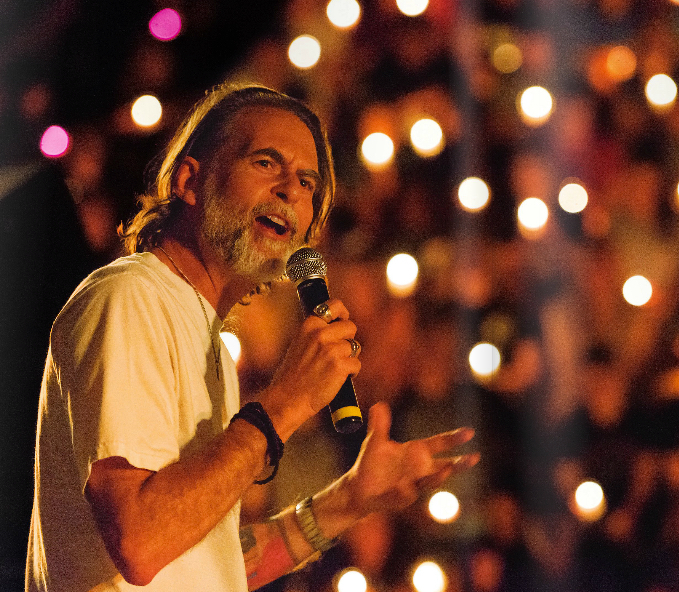 In the early days of contemporary Christian music within evangelical culture that in itself was a bit of a revelation. Sola Scriptura people didn't talk a whole lot about the ancient confessional creeds. Creeds were a bit too liturgical, too Catholic. I did not make it, no it is making me. That's the lyric that grabs me. This is the important bit: It is necessary to have the means for expressing an experience in order to have it. And the richer and more expressive our language, symbols, rituals and art the more subtle, varied, differentiated and deeper can be our experience. Because there are numberless thoughts we cannot think, feelings we cannot feel, and realities we cannot perceive until we learn to use this language with its rituals, symbols and art. Or, more simply, I did not make it but it is making me. This is beautifully expressed, and I can see the love of the christian religion in your words. And to my chagrin, what I am about to say smacks of telling a chef that a skillfully, lovingly prepared dish is not to my taste, or that the love of a friends life doesn't strike me as all that special. So I know that I'm about to play the boor. To me christian faith provides a lens to correct our view of the world, not to provide an alternative cultural construct. 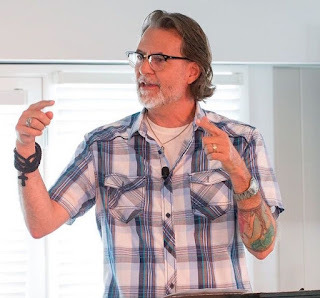 Lindbeck doesn't explicitly say as much, but for him religion is not something we can wear lightly, like a pair of glasses, but "an external world" which we enter. I guess I bridle at the idea that becoming "churchy" might be a goal in some sense. This is not a comment that is right or wrong, but it is a statement of my preference for wearing religion lightly. I am very aware that there are dangers on both sides. Forgive me for any offense, but I thought a view from the other end of the continuum might be worth considering. No offense taken at all. I most definitely resonate with the idea of wearing religion lightly. FYI that line actually is adapted from Chesterton's Orthodoxy: "I will not call it my philosophy; for I did not make it. God and humanity made it; and it made me." That line was used in a Bible study group I was in to say that we shouldn't question the Bible, but should just accept what it says. I still like Rich Mullins' music, though! This is exactly what the Godly Play children's curriculum aims at -- helping introduce kids to the language and symbols needed to make sense of their own spiritual experience and confrontation of existential limits, within their liturgical tradition. Can you explain what you mean by wearing religion lightly? What strikes me is the idea that we live in the real world, and that it is not something to be discarded and burned up later so we can go to 'heaven,' but is the very place where heaven surrounds and meets us. So that faith isn't about creating a world in opposition to this one, but is about living rightly in this one. But I am not sure that's what you're getting at. To me a good way of life and a good way of practicing religion are the same thing. Where religion comes in, in my view, is that it's very difficult to maintain a good way of life, because it's so easy to get sidetracked. So what I mean by "wearing religion lightly" is this: not adopting any practice that competes with a basic ethic and/or culture of love. The NT shows Jesus pruning away growth that saps away from the fruit of love. I struggle with that, so I need a church that doesn't function like an extra cultural environment to take into account. But I know that my view of how to live out an ethic of love might become a false way for you. So, really, I would answer you question--ideally--by pointing to Christ. Thanks, that makes sense. So some religious things that might be helpful for some people might be distractions for others, like you. I've loved that Rich Mullins lyric for years - long before I really knew what a creed was. I love its simple, powerful statement of the way our faith and our experience shape us.